– Purina One True Instinct Sample with $3 coupon & FREE 8 lb bag coupon up to $15.99 – From Smiley360 a place to try products for FREE! Complete missions and earn points to stay eligible for other awesome sampling opportunities. Free to sign up HERE! Make your profile to see what types of fun opportunities you’ll receive. 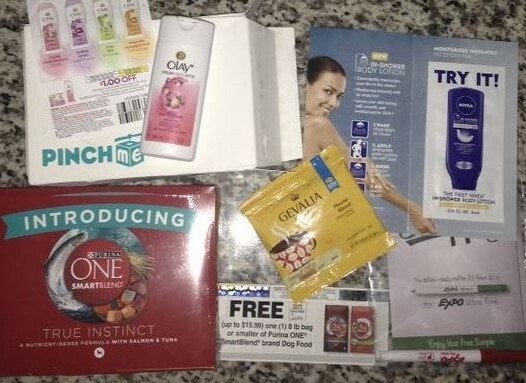 – Pinch Me sample box including Nivea in-shower body lotion & $1 off coupon, Gevalia coffee sample, Expo Fine Tip marker & board sample and Olay white strawberries & mint body wash with $1 off coupon. Pinch Me is another great source for brand new FREE products. Each month you pick which products you would like to receive, review them and repeat. Sign up for Pinch Me HERE! 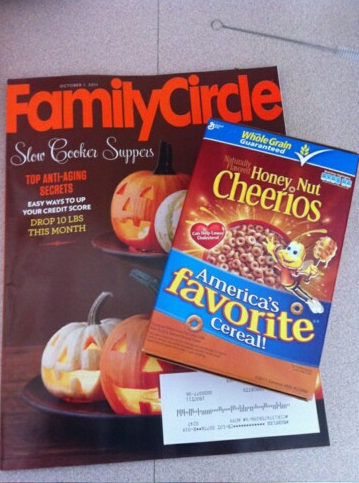 Freebies In Your Mailbox: Raggedy Ann Contest Winner!! 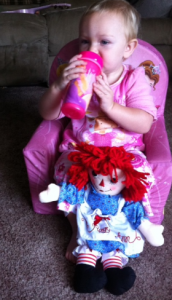 CGBW reader Whitney H. recently won the Raggedy Ann giveaway! Pictured above is her daughter, Annalise with her new toy! Isn’t she precious?! Make sure you’re entered to win all the CGBW exclusive giveaways HERE. Freebies In My Mailbox: Air Purifier Filter!! Awe, yeah!! Look at this SWEET “FREEB” I found it my mailbox today! Its a FREE air filter for my air purifier! These things normally cost over $20! It works on many Holmes & Bionaire models. What’s that? You want one too? 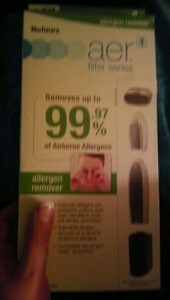 Grab it HERE- http://citygirlbigworld.com/2011/12/free-aer-air-filter/It only took a few days to come! If you have pictures of FREEBIES in YOUR mailbox CityGirlBigWorld wants to see them!! You can post them on the CityGirlBigWorld Facebook page HERE or you can send your picture to CityGirl@CityGirlBigWorld.com and I will put them up on CityGirlBigWorld.com! 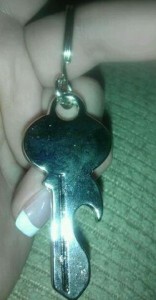 Freebies In My Mailbox: L&M Key Chain Bottle Opener!! Join UPS My Choice Free!! Finally! My mail carriers have been listening to me! Join UPS My Choice for FREE HERE! Get alerts before packages arrive, Electronically authorize packages for drop-off ( SUPER COOL FEATURE), re-route to other locations and many other options. Celebrities LIKE FREEBIES TOO! That Fitness Girl Theresa from the TV show Lizard Lick Towing & Recovery shows us the FREEBIES that she got from CityGirlBigWorld! If you have pictures of FREEBIES in YOUR mailbox CityGirlBigWorld wants to see them!! You can post them on the CityGirlBigWorld Facebook page HERE or you can send your picture to CityGirlBigWorld@gmail.com and I will put them up on CityGirlBigWorld.com! Freebies In My Mailbox- 7/2/2011!! As many of you know, I just recently moved and I JUST got my first batch of forwarded FREEBIES in the mail yesterday! Let me know you what I got! * So Delicious Dairy Free Product Coupon- This offer was posted on CGBW on 6/18 & is no longer available. *Trilipiderm All Body Moisture Retention Creme- Wow! They sent three large packets of Creme! I think this is the best offer on the page and it is the only one that is still available! This offer was posted on CGBW on 6/7 & you can still grab it HERE. *Healthy Choice Product Coupon- This promotion was offered through Self magazine and is no longer available! This is the first FREEBIE I have ever gotten from Self magazine! Woo-hoo! I will be sure to post more of these in the future. *Boating magazine- This offer is no longer available. *More magazine- This offer is no longer available. *Spin magazine- This offer is no longer available. *Everyday With Rachel Ray- This offer is no longer available. 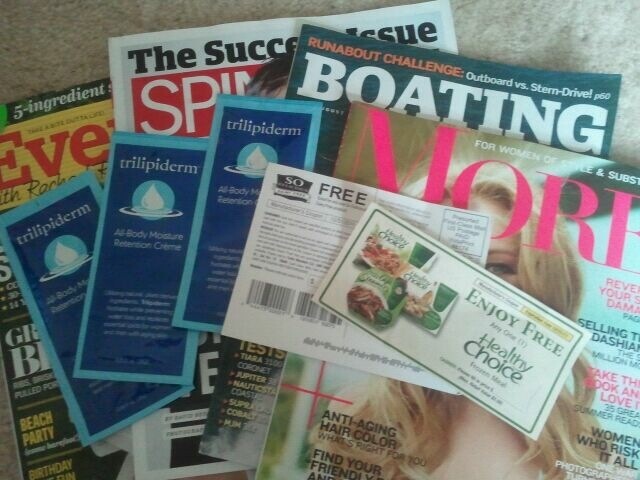 Freebies In My Mailbox- 5/31/2011!! *Gucci Guilty perfume sample- This offer was posted on CGBW on 9/12/10 & is still available HERE. *$5.00 off Zantac coupon & Free sample- This offer was posted on CGBW on 4/19 & is no longer available. *Custom Sticker- This offer was posted on CGBW on 5/22 & is still available HERE. *TRESemme Naturals shampoo & conditioner- This offer was posted on CGBW on 4/22 & is no longer available. *Dirt Rider magazine- This offer was posted on CGBW on 4/19 & is still available HERE. *Road & Track magazine- This offer was posted on CGBW on 4/14 & is still available HERE. *Popular Science magazine- This offer is no longer available. *Truck Trend magazine- This offer is no longer available. 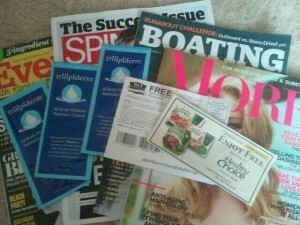 Freebies In My Mailbox- 5/28/2011!! *$10 Whole Foods gift card- This offer is still available HERE, you can earn a bunch of different gift cards including iTunes, J.Crew, Sephora, Banana Republic, Urban Outfitters, Bloomingdales, Gap, Jamba Juice, Old Navy, Nordstrom, Starbucks or Whole Foods. *The Little Pink Book of Breast Cancer Awareness- This offer is no longer available. *$50 Visa gift card- I won this playing an instant win game! You can play instant games HERE. *Rachel Ray dog food sample & $2off coupon- This offer was posted on CGBW on 7/9/10 & is still available HERE. 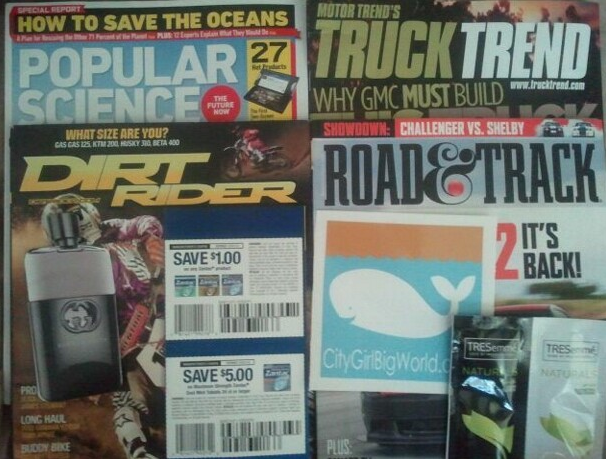 Freebies In My Mailbox- 5/26/2011!! 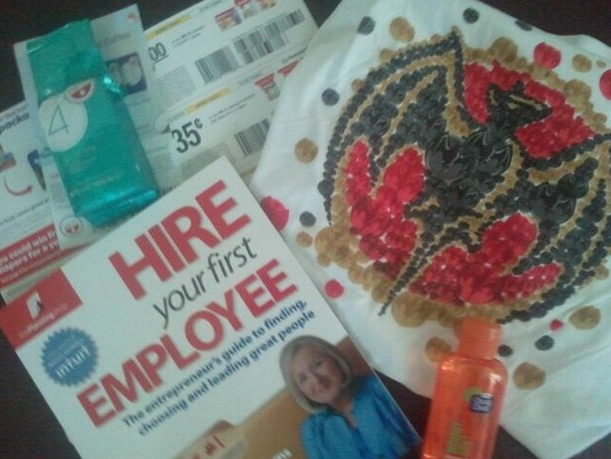 *Hire Your First Employee Book- This offer was posted on CGBW on 5/9 and is still available HERE. *Seattle’s Best Coffee- This offer was posted on CGBW on 5/12 and is no longer available. This was a Twitter offer. *Clean & Clear Mango Papaya Body Wash- This offer was posted on CGBW on 3/3 and is no longer available. This was a cell phone text offer. *Bacardi T-Shirt- This offer has been reoccurring on Facebook. It will be available next Thursday and I will warn you when it is live! *Huggies Coupons- These coupons came by signing up for the reward point program. You can sign up and grab some FREE points HERE!